Looking for an exciting new investment? Try Cryptocurrency. 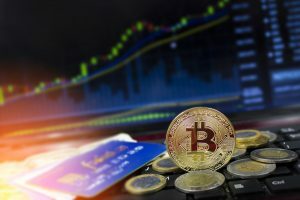 Here’s our guide on how to invest in cryptocurrency. 6 steps to help you invest with success! Would you like to be a millionaire or have 2 large pizzas? On May 22, 2010, a programmer named Laszlo Hanyecz purchased two pizzas with 10,000 bitcoins. At the time the digital currency was worth less than a penny. Today those same coins are worth millions of dollars. Laszlo Hanyecz claims to be happy with his purchase despite the virtual money’s unpredicted rise in value. However, as delicious as pizza is, most of us would prefer to be a millionaire. Every week, there’s new millionaires emerging from the digital money market. Are you ready to stake your claim in this new-age gold rush? 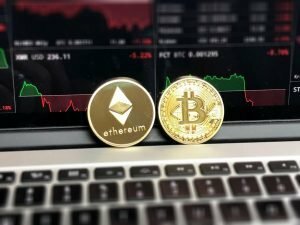 Here’s our 3 step introductory guide about how to invest in cryptocurrency. First, you’ll need to formulate a strategy. This is true for any level of investing in any type of currency. Having a strategy helps you avoid making costly mistakes based on emotions. It is good to start investing in small increments. Take a moment to decide the type of investment you want to make. 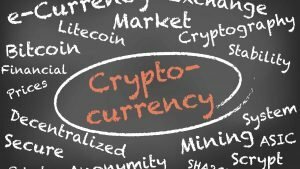 Keep your strategy at the forefront of your mind when getting started with cryptocurrency. You’ll be given a variety of options to choose from. Your choice will need to complement your strategy. These projects are in an even earlier stage than the risky small ones. The risk is higher because the development of the technology hasn’t started yet. With a strong team developing a plan the discount can be worth the potential reward. Learning how to invest in cryptocurrency is about more than statistics and research. You have to be disciplined and avoid making impulsive decisions. Only invest money you can afford to lose. This part is pretty simple, research before you spend any money. Use different sources to learn about what currencies are worth investing in. Do you know what type of crypto-player you want to be? At the Fortunate Investor, we are dedicated to helping investors learn how to build long-term wealth. We have more featured articles available to help you accomplish your financial goals. Click here for free tools you can start using today. Tools that will help you with all sorts of personal goals. Goals like getting insurance, building a website and even couponing. The Fortunate Investor is the finance half of the husband and wife duo behind this website. Michael's finance and investment advice is rooted in an MBA and 20 years experience as an entrepreneur, banker, and manager in the financial services industry.